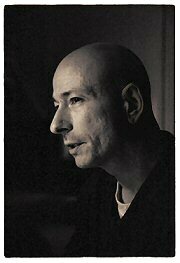 The author, Ethan Weisgard, is a long-time direct student of the late aikido master Morihiro Saito. Saito studied directly under the founder of aikido, Morihei Ueshiba, for 24 years. The weapons techniques that were taught by Ueshiba in his dojo in rural Iwama, Japan lived on in the teachings of Saito and now in his students. This book is a documentation of the legacy that has been left behind. Ethan Weisgard is one of the highest-level direct students of Saito in Europe. He traveled to Japan for the first time in 1984 to live and train as a direct student of Saito in Iwama. He has returned more than ten times, including a stay of more than one year, to immerse himself in training. Ethan Weisgard was appointed direct representative in Denmark by Saito personally, and he has traveled throughout the world teaching the aikido taught to him by his master. He has taught in Denmark, Sweden, Italy, Germany, America, Russia and even in the homeland of aikido – Japan. 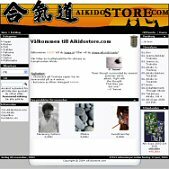 The two books – Basic and Advanced Aiki Ken and Basic and Advanced Aiki Jo – are a finely detailed presentation of the traditional aikido weapons techniques, starting with the basic forms and building up to the advanced levels. These books will benefit those just beginning to walk the “path of aikido” as well as advanced practitioners wishing to have a full documentation of the weapons curriculum. Beautifully photographed and with a clear, step-by-step presentation, these books are exactly what is needed in the aikido world in regard to the traditional weapons legacy.